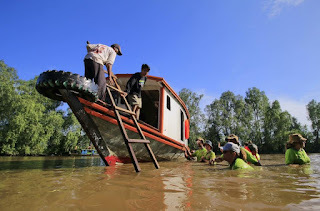 Bekantan Research Station; Bekantan Research Station is located on Curiak Island - Anjir Muara - Barito Kuala, South Kalimantan. 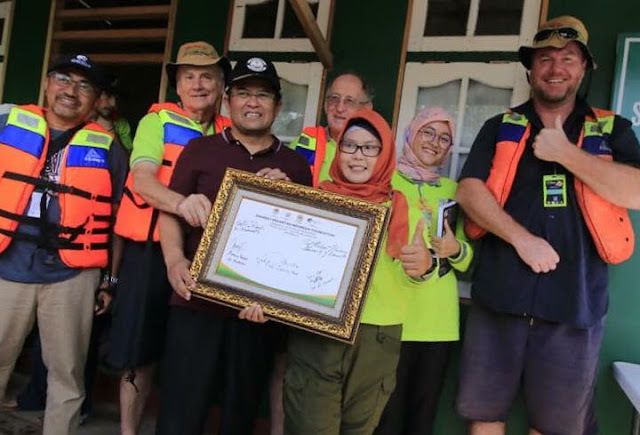 The idea was established on April 22, 2015 by Ferry F. Hoesain and Amalia Rezeki from the Indonesian Center for Biodiversity Studies and Conservation - Lambung Mangkurat University, who is also the founder of Yayasan Sahabat Bekantan Indonesia (SBI) - Banjarmasin. Then on December 22, 2017 began to be realized physically by conducting land acquisition for the construction of its research station facilities. This development is funded by Sahabat Bekantan Indonesia Foundation and non-binding donors. At the beginning of its establishment, the station was intended as a rehabilitation location for bekantan and research centers. 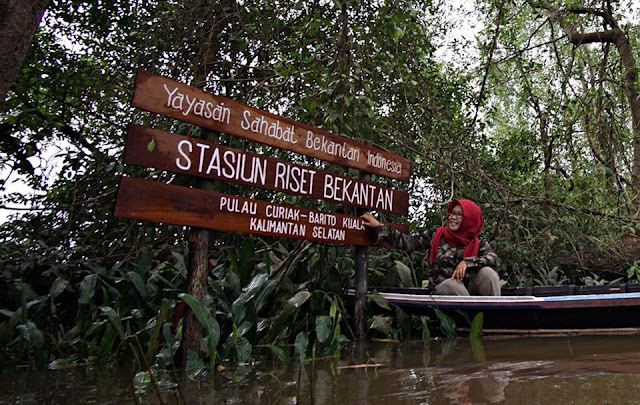 since then Curiak Island has been used as a center for bekantan research and wetland ecosystems. While the bekantan rehabilitation place is in Banjarmasin. Bekantan Research Station was inaugurated by Prof. Dr. Sutarto Hadi, M.Si., M.Sc., ULM Chancellor was accompanied by Professor Professor Roberts Timothy Kilgour, Professor Matthew Warrington and Professor Michael Joseph of New Castle University Australia. For the first time it was marked by Summer Course activities with ULM students and New Castle students - Australia. Now, the Bekantan Research Station is a special natural laboratory. Become a special attraction for domestic and foreign researchers, especially bekantan and their wetland ecosystems. 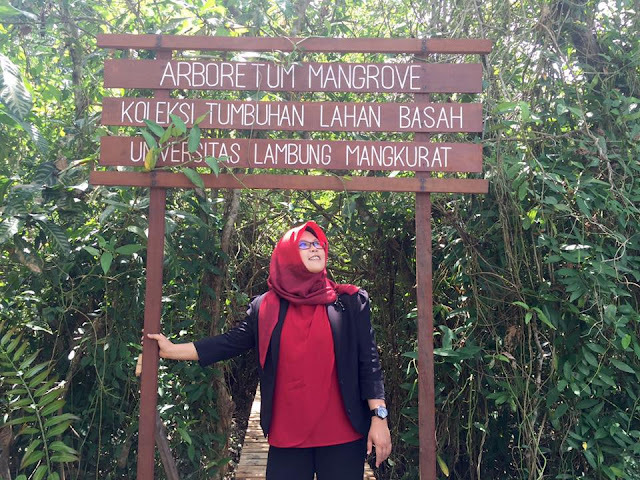 Mangrove arboretum is a mangrove pilot forest which contains various kinds of mangrove species which are useful as a place of education and introduction of mangrove species to students, researchers and the community. The mangrove arboretum of Curiak Island is located in Anjir Muara, Barito Kuala regency. Since the end of 2017, SBI has tried to build it slowly and surely. 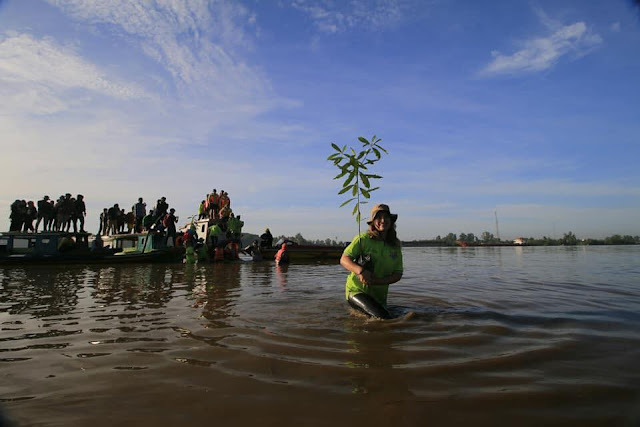 With its mangrove production, breeding, planting, refining, maintenance and data collection programs, it was finally the beginning of September 2018, the land that was previously abandoned and considered unproductive, became a place for mangrove education and research for students from within and outside the country. Despite being far from perfect, the arboretum, which has an area of approximately one hectare, contains no fewer than dozens of plants that grow well. 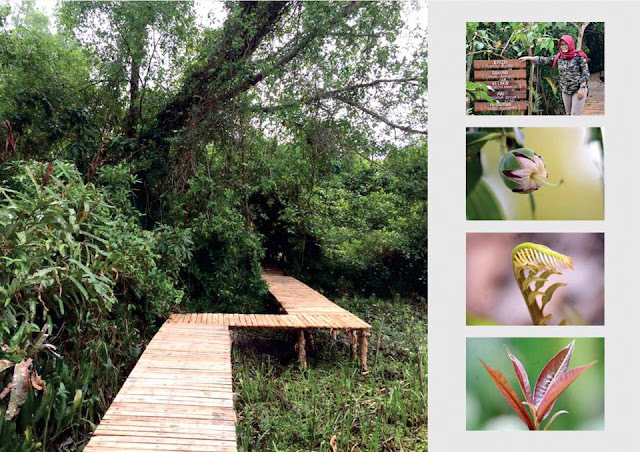 This Arboretum is also equipped with track paths for pedestrians to observe mangrove ecosystems and the nameplate of mangrove species from ironwood boards. The arboretum area is also used as a conservation school by SBI. Throughout the year, every four months, conservation schools are held, not only students from within the country, but also students from various countries. They are taught about conservation, especially wild life in wetland ecosystems. 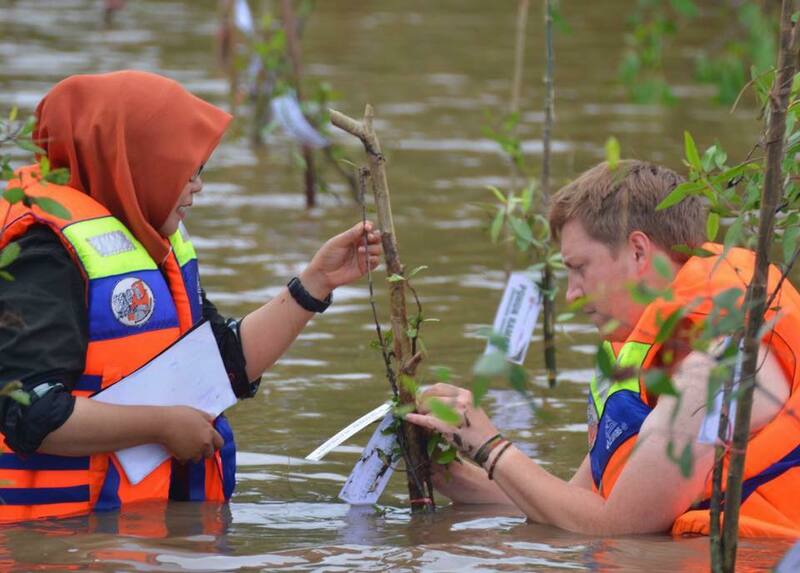 A LOT of 20 students and three professors from the University of Newcastle, Australia, took part in the action of planting mangrove trees on Curiak Island, in the middle of the Barito River, Barito Kuala Regency, South Kalimantan. The mangrove planted is rambai (Sonneratia caseolaris) which is a source of food for long nose monkey proboscis monkey (Nasalis larvatus). The mangrove tree planting action was carried out with the University of Lambung Mangkurat (ULM) and Sahabat Bekantan Indonesia Foundation (SBI). The presence of students from Australia is part of the New Colombo Plan; Biodiversity Proboscis Monkey and Orang Utan Program in Borneo. They conducted research related to the behavior and habitat of bekantan in South Kalimantan. Chairman of the SBI foundation, Amalia Rezeki, said that this activity was an opportunity for South Kalimantan to further socialize the importance of preserving the native habitat of the endemic Borneo primates. "We together plant the Rambai tree, which is a Bekantan habitat to live and breed," said Amalia, Friday (6/7). Prof. Michael from the University of Newcastle Australia, said it had come to Kalimantan to see the habitat of the original bekantan. "Mangrove forests are the original habitat of Bekantan. 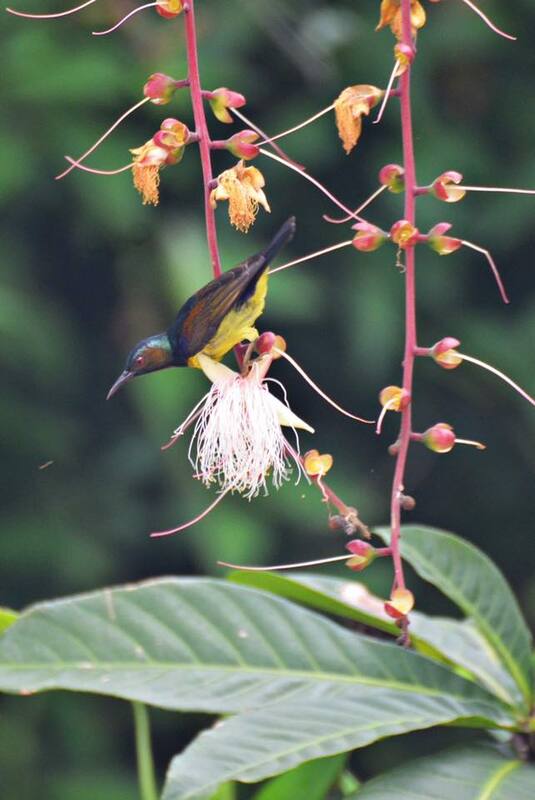 We together build native habitats for bekantan," he said. University of Newcastle Australia student Tiara said, the mangrove forests that grow in the area of Curiak Island must be preserved, so that proboscis monkeys can breed well. (Media Indonesia.